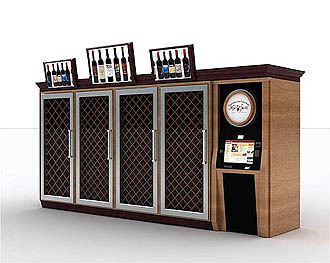 These goofy-looking kiosks would “vend white and red wines and would be located in supermarkets that don’t currently have LCB ‘one-stop shops’ within them, where both wine and liquor are sold”. Earth to PCLB: kiosks wouldn’t need to fill in for missing one-stop shops if grocery stores were not prohibited from selling alcohol themselves! It gets worse, though. Gee, we wouldn’t want to allow any new competition for the members of the Malt Beverage Distributors Association, would we?